Who you pulling for Kassie Nette? Live from NC: The Anomaly Tour! Is it student-athlete or athlete-student?? I was not sure I would ever see this again. But here we are. Again. Venus vs. Serena playing against each other in a US Open match. Primetime television at its best. I was asked this weekend who I thought was the better player. It is easy to say Serena and why would you not pick her? But I stopped to think about it. Venus was dominate early in her career but was plagued by injuries. Serena, not as dominant, has found her stride in her early 30’s and is poised to complete the first calendar slam since 1988. I know the choice is clear but I stopped to examine them for a moment. Both have their strengths. Their serves are second to none. 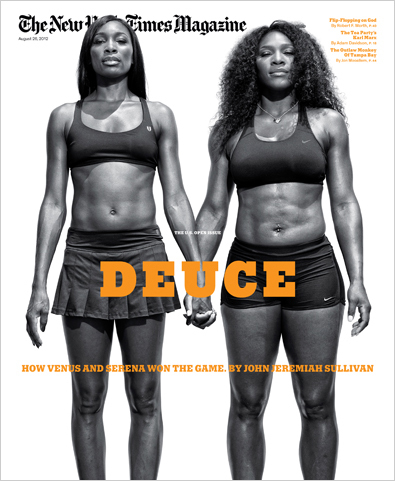 Venus is stronger at the net while Serena knows how to completely smother a second serve. I see more power in Serena while Venus tends to be more precise in her decisions. Both know how to dig deep to pull out a win but it will be interesting to see if Venus holds back simply because of what is at stake. Either way, I will be watching and pulling for a Williams to win! Tune in at 7:00 and #WitnessGreatness. Happy Birfdaaaaaaaaay to The Korner!!! !